Vitamin D is essential for bone health and glucose metabolism. It helps us absorb the calcium and phosphorous in our diet that keep teeth and bones healthy. Vitamin D regulates the body’s levels of calcium and phosphate. These are the primary nutrients that protect teeth, bones, and muscles, and keep them strong. We get most of our vitamin D from sunshine when it contacts our skin. This is why levels tend to be higher during the warmer months. Some foods also contain vitamin D, such as oily fish, liver, red meat, and eggs. Some foods are fortified with vitamin D as well. Low levels of vitamin D can lead to decreased bone density, osteoporosis, and osteomalacia in adults, and rickets in children. It is more common to be deficient in the colder, cloudier months. 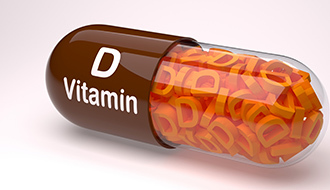 Please note that regular blood testing is required when taking vitamin D supplements. Please give us a call or use our online booking system to make your appointment for testing. Remember, you can have this test either on its own, or in conjunction with a doctor consultation. The benefit of the consultation is that you will receive a follow-up call to discuss your results, as well as recommendations for treatment and lifestyle changes. Please arrive for this test well-hydrated, to make the procedure easier. This test is a simple blood test. A needle is inserted into a vein, usually on the inner arm near the elbow, and a small amount of blood is drawn. You may feel a pricking or scratching sensation. The results will be sent to you by email as a PDF attachment. 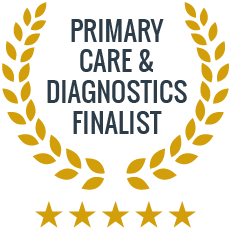 If you had a consultation with one of our GPs, they will also give you a call to discuss your results. If you decide to have just a blood test with us, no interpretation is provided. In that case, you can take the results to your own doctor or book a consultation with one of our GPs. Most of the vitamin D in our bodies is created from direct sunlight on the skin. Being outside in the sunshine every day, for a short period of time (10 minutes for lightest skin tones, longer for darker), with forearms, hands or lower legs uncovered and without sunscreen through the Spring, Summer and early Autumn, from 11am – 3pm, is the best way to promote your body’s production of vitamin D.
Longer sun exposure is not thought to cause additional benefits, and it is important that you are careful not to burn.You can also increase vitamin D levels through your diet. Oily fish such as salmon, sardines, and mackerel are high in vitamin D, and butter and eggs (especially the yolks) are also good sources. Small amounts of Vitamin D are added to some foods such as breakfast cereals, soy and dairy products, and to all infant milk formula. What is the function of Vitamin D in the body? Vitamin D helps your body to absorb calcium and promotes bone growth and bone health. Deficiency in Vitamin D is associated with bone disease, as well as depression, heart disease, and some cancers. Am I low in Vitamin D? If you think you might be low in Vitamin D, the best thing to do is come in for a test. The doctor may recommend that you test your Vitamin D levels if you are experiencing symptoms such as fatigue and poor concentration, muscle weakness or pain, joint pain, insomnia or light sleep, headaches, and bladder or digestion problems.